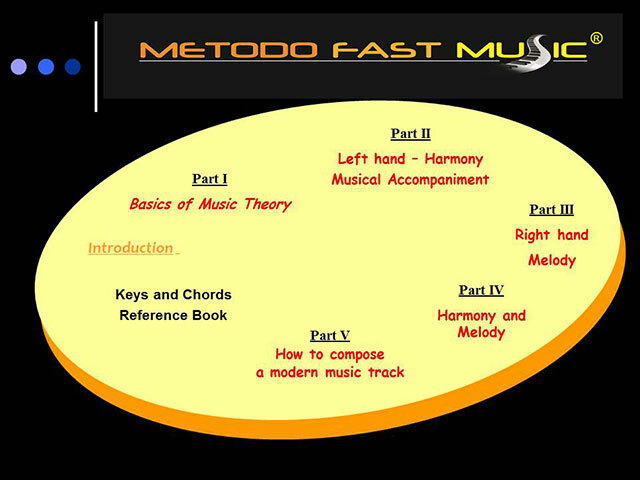 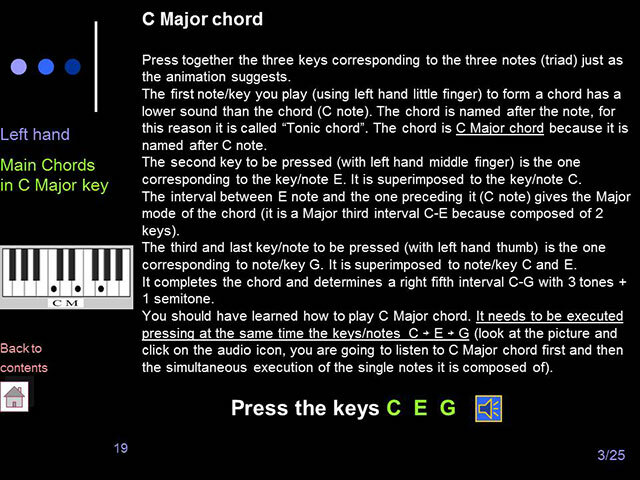 The interactive multimedia method that teaches you step by step how to play the keyboard starting from scratch, without having to read the music! 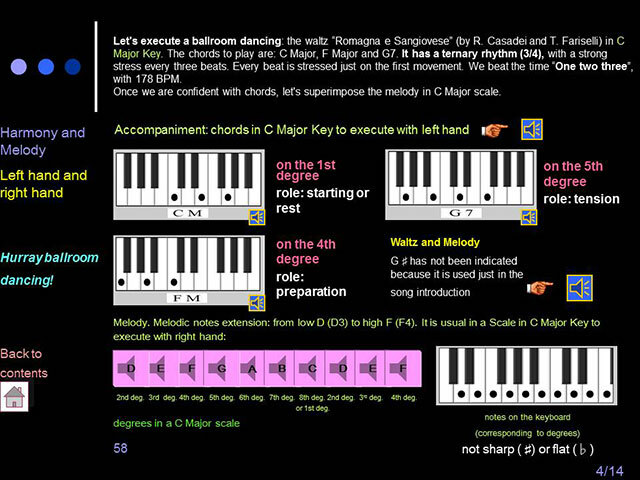 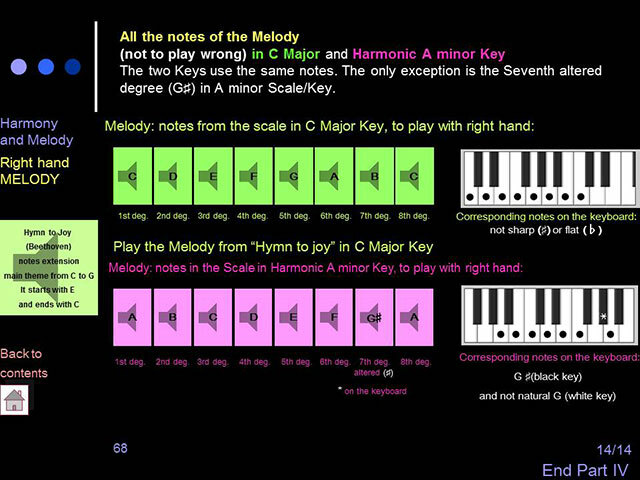 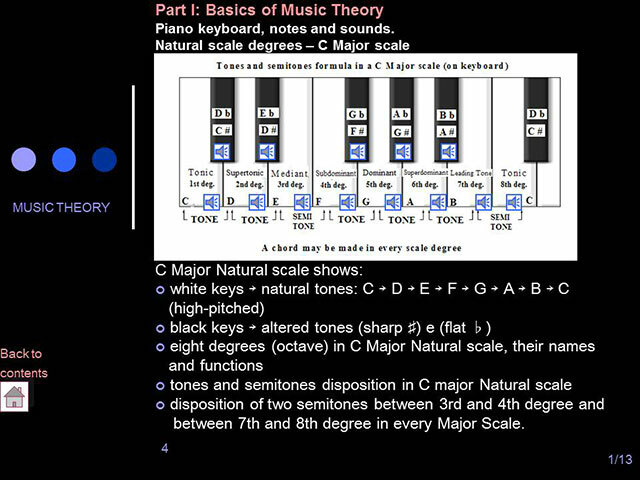 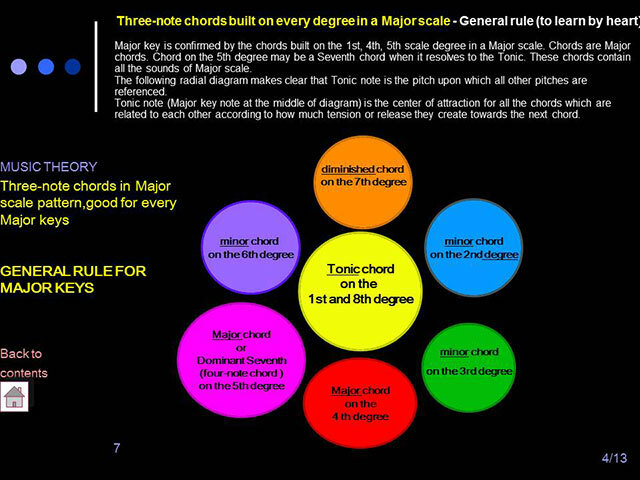 The tips, tricks, texts, images and many audio music files (more than 260 audio files between single notes, single chord formation, chord sequences, samples of different music genres from rock to tango, simpler musical scales performed in both major and minor keys) make this method a fun, easy and intuitive didactical instrument indispensable both for beginners and for musician in search of improvement. 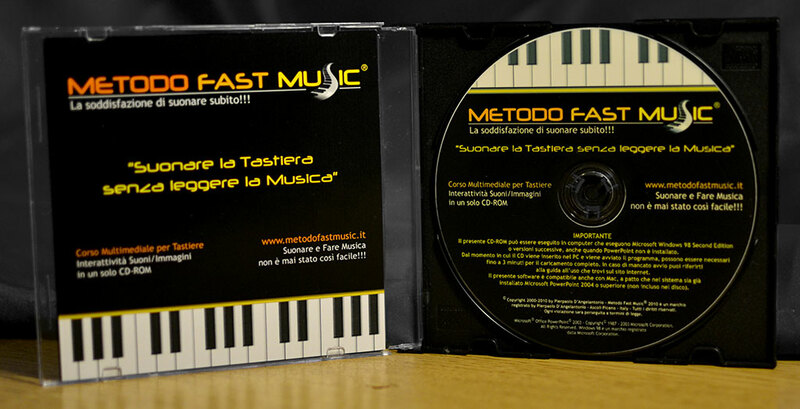 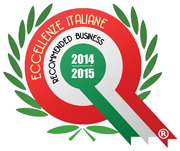 The greatest satisfaction, for us, is to spread our passion for music. 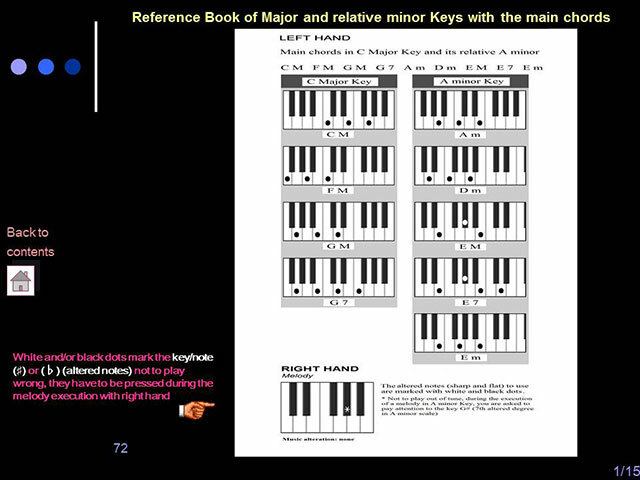 Many people who bought our keyboard method write us to thank us for the work done, which has helped them to quickly and easily play keyboard and have fun with this wonderful instrument!